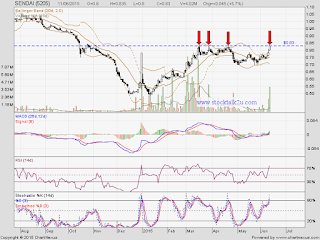 SENDAI (5205) retest RM0.83 resistance level. How about this round? Will it breakout & go higher? Immediate resistance @ RM0.83 level. Subsequent resistance @ RM0.88 level. Immediate support @ RM0.78 level. 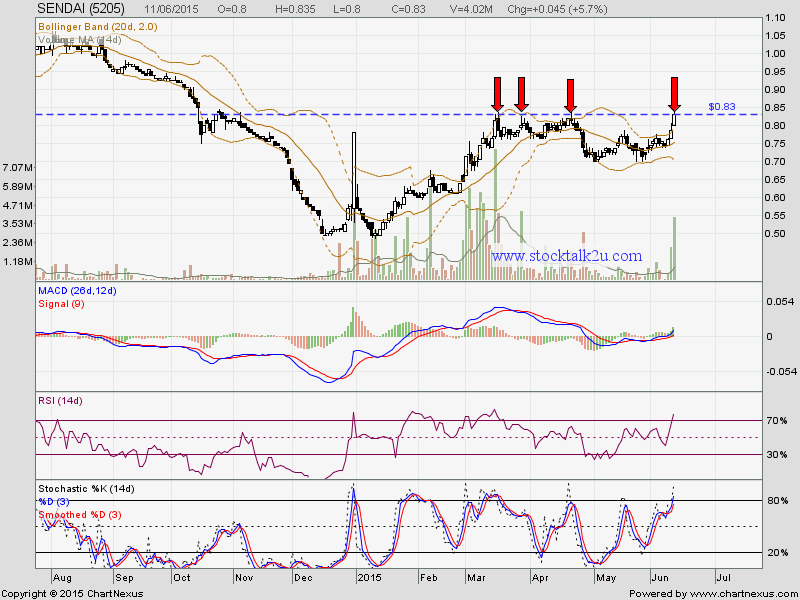 If able break up RM0.83, it's good opportunity.